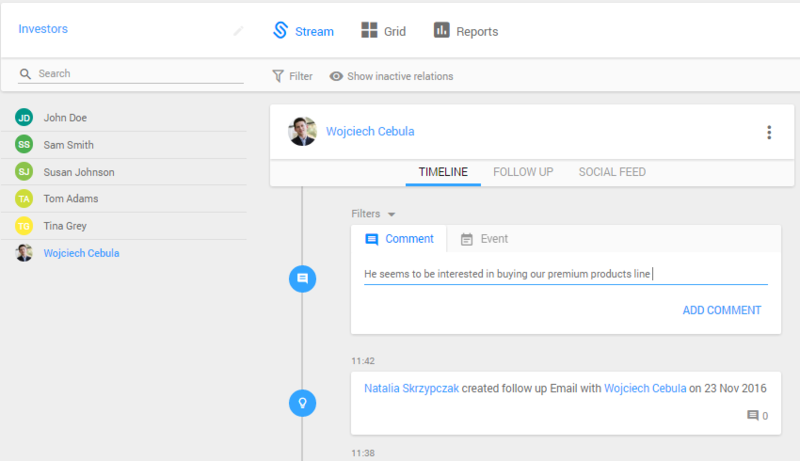 In InStream you can add comments to stay on the top of your communication. Click on the right relations list, and choose the contact to which you want to add a comment. Write a comment. Next, click on the “Add comment” button. The comment will appear on your timeline. 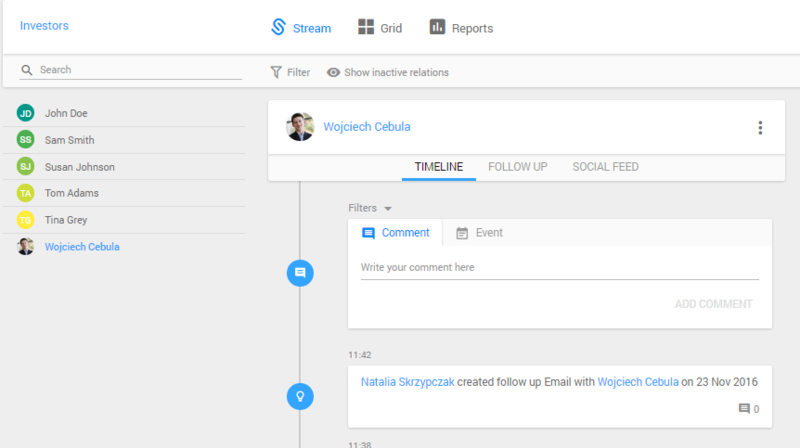 Learn more how to add events and follow-ups to your timeline.